Vegas GiveCamp is a hack-a-thon for charity where tech experts come together to build powerful apps, websites, and marketing solutions for local Las Vegas non-profits over a 3 day action-packed weekend. 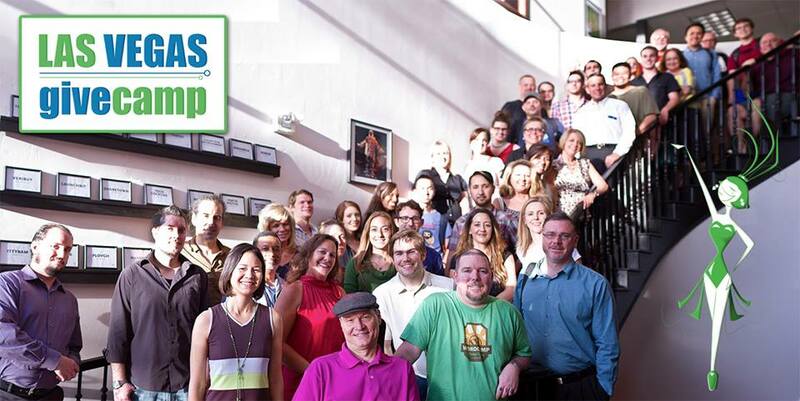 In 2013, Vegas GiveCamp selected 18 local charities and signed up 50 volunteers to help build a better community and help change lives! The estimated value of time and talent being donated exceeds $100,000, according to Vegas GiveCamp organizers Owen Carver and Steve Wainstead. This year, the event is back and happening August 8-10, 2014 at The Innevation Center. Owen Carver encourages #VegasTech community members to join in on the fun because when you work on a project at Vegas GiveCamp your code can actually help save lives. Non-profits can get involved by visiting the event website here and applying by June 30th to be involved. In addition, the Vegas GiveCamp team could use the non-profits help in spreading the word to as many other local non-profits as possible. About GiveCamp: GiveCamp is a weekend-long event where software developers, designers, and database administrators donate their time to create custom software for non-profit organizations. This custom software could be a new website for the nonprofit organization, a small data-collection application to keep track of members, or a application for the Red Cross that automatically emails a blood donor three months after they’ve donated blood to remind them that they are now eligible to donate again. The only limitation is that the project should be scoped to be able to be completed in a weekend.